The COVER FX Custom Enhancer Drops retail for $42US and $52CAN for 0.5 fl oz of product. The L'Oreal True Match Lumi Liquid Glow Illuminator is $12.99US and $16CAN for fl oz of product. Dimethicone, Synthetic Wax, Polymethylsilsesquioxane, Sucrose Tetrastearate Triacetate, Silica, Polybutene, Coco-Caprylate/Caprate, Hydrogenated Jojoba Oil, Trimethylsiloxysilicate/Dimethiconol Crosspolymer, Trimethylpentanediol/Adipic Acid/Glycerin Crosspolymer, Silica Silylate, Pentaerythrityl Tetra-di-t-butyl Hydroxyhydrocinnamate May Contain: Iron Oxides (CI 77491, CI 77492, CI 77499), Mica (CI 77019), Titanium Dioxide (CI 77891). The COVER FX Custom Enhancer Drops in Celestial is an extremely pigment concentrated liquid wax formula that looks metallic at full coverage. The particles are soo small from a distance that it radiates light stronger than most metallic eyeshadows! The texture of the base formula is a very thin liquid and has enough slip to blend out on the skin without disrupting the product underneath. This one also has a longer work time probably because the base ingredient is Dimethicone and Synthetic Wax instead of water to delay the Dimethicone from setting. 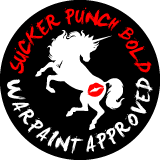 I also recommend working this product with a stippling brush to help defuse the shade faster as a highlighter it is that concentrated. 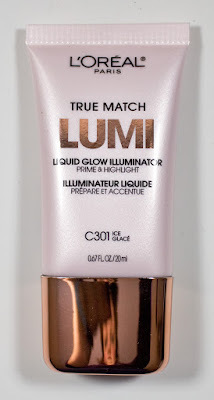 The L'Oreal True Match Lumi Liquid Glow Illuminator in c301 Ice is a concentrated liquid gel formula that looks metallic at full coverage. The particles are as equally small and from a distance that it radiates lights. The texture of the base formula is a very gel like with body to it close to a cream, but it still has enough slip to blend out on the skin without disrupting the product underneath. This one also has a shorter work time base ingredient is Water, Dimethicone, and Glycerin. With water evaporating the fastest the Glycerin is the only ingredient delaying the Dimethicone from setting. But there is plenty of time to work the product into the skin, but once it set it will not budge at all. 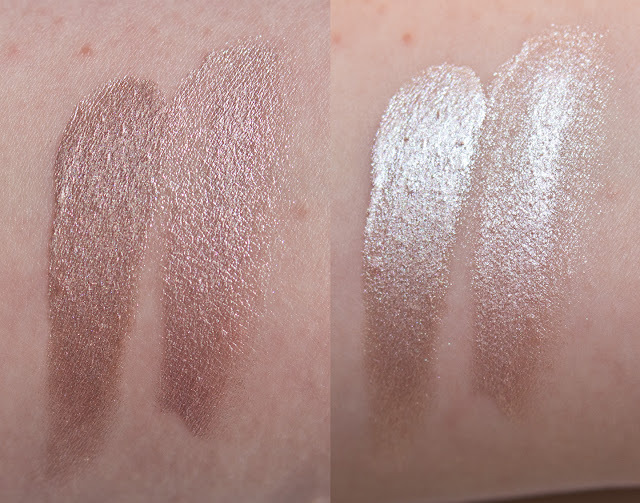 What I found was both these products sheered out has a VERY similar look on the skin despite the slight colour different in the Mica shade. Celestial is a pale dusty pink with high shimmer. c301 Ice is a pale pink with high shimmer. 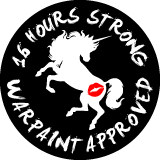 I was able to see 16 hours wear before noticeable fading probably because it's a finely milled shimmer but the dewy glow still lingers past that. Both these products are long-wearing for sure! Packaging: COVER FX Custom Enhancer Drops comes in a glass jar with a dropper lid. L'Oreal True Match Lumi Liquid Glow Illuminator comes in a squeeze tube. 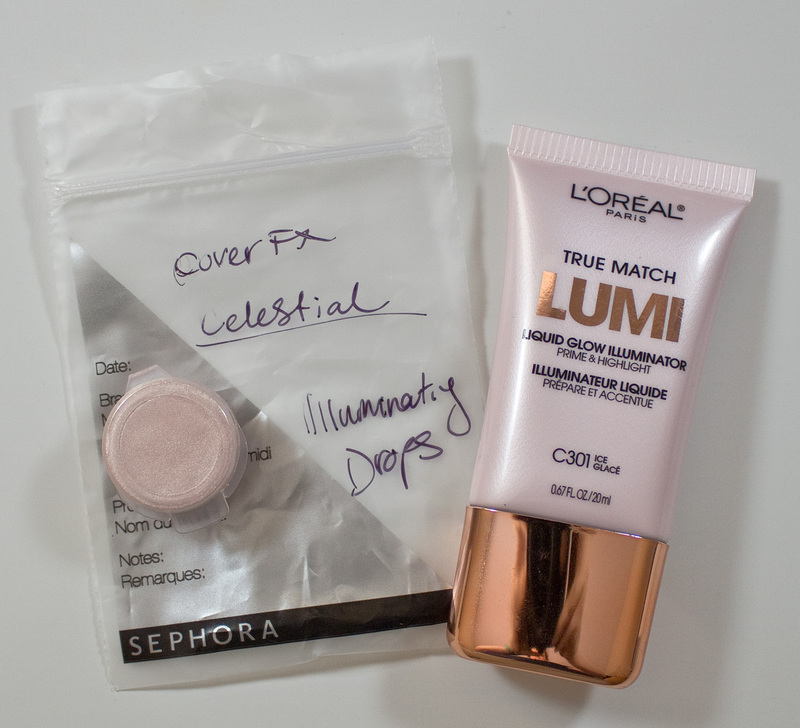 and L'Oreal True Match Lumi Liquid Glow Illuminator in c301 Ice, blended out to the right. 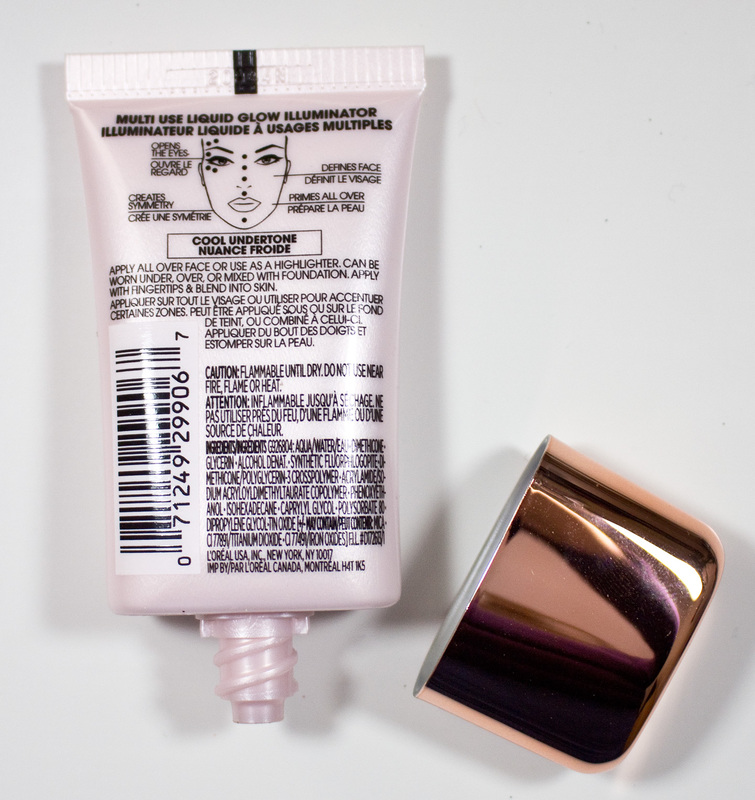 Both work wonderfully as a highlighter or mixed into your foundation. But if you see yourself using this type of product the COVER FX Custom Enhancer Drops are still a bang for your buck because you are getting almost double the pigmentation. If you want to use this in your foundation the thinner texture of COVER FX Drops with not affect at all the texture of the foundation while the L'Oreal True Match Lumi Liquid Glow Illuminator does thin it out slightly. If you can afford it, I also recommend picking up the Moonlight shade for mixing with the Celestial to warm the shade up for pale girls. 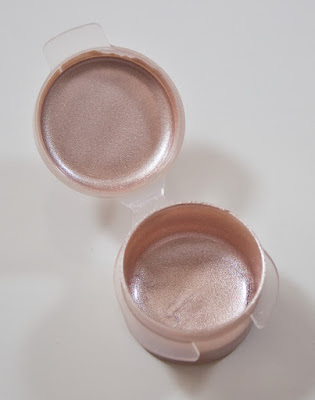 I personally found Moonlight a touch too dark on me and was more like a subtle bronzer but when mixed with Celestial it became a perfect neutral highlight! Nice review! Thanks also for including the ingredients, silicone are a no-go for me as I react to it 🙁. But good to see they performed well. I had been curious about getting the Cover Fx drops but now that I know they have dimethicone in, I'll give them a wide berth! If you can try out a sample of the Cover Fx drops. the formula is soo pigmented the amount of dimethicon in the product is so minimal for the amount of coverage unlike skin care / face mekeup products you might be ok with it with it.